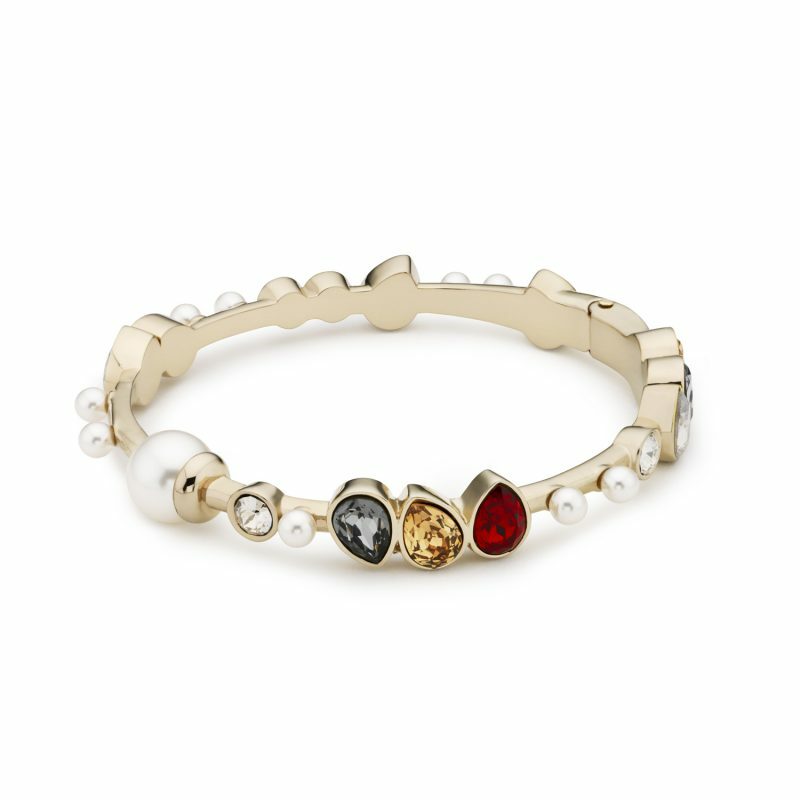 Atelier Swarovski by Jason Wu Mosaic Fine Bangle with hand-applied Swarovski crystals in mixed colours with a shiny pale gold plating. Part of the Atelier Swarovski AW17 Jewellery Collections designed by Jason Wu. Mixed Crystal Colours, Pale Gold Plating.